The story begins with the Wizard (Djimon Hounsou), champion of humanity against the forces of evil. But now he’s all alone and officially too old for this s*it and seeks a worthy successor. 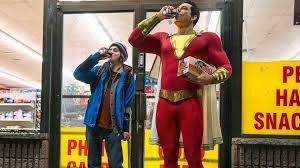 Fast forward to present day Philadelphia where Billy Batson (Asher Angel) is searching for his birth mother and ends with him being put into a new foster home. There he meets his foster siblings Darla (Faithe Herman), Mary (Grace Fulton), Eugene (Ian Chen), Pedro (Jovan Armand) and Freddy (Jack Dylan Grazer). Billy is resistant to be part of family but he does come to Freddy’s defence against a pair of bullies who chase him to the subway. On the train, Billy is magically transported to the Rock of Eternity. Billy meets the Wizard, who informs Billy he has been chosen. One of the Wizard’s potential chosen, Thaddeus Sivanna (Mark Strong) broke into the Rock and stole power he used to free the Seven Deadly Sins upon the world. 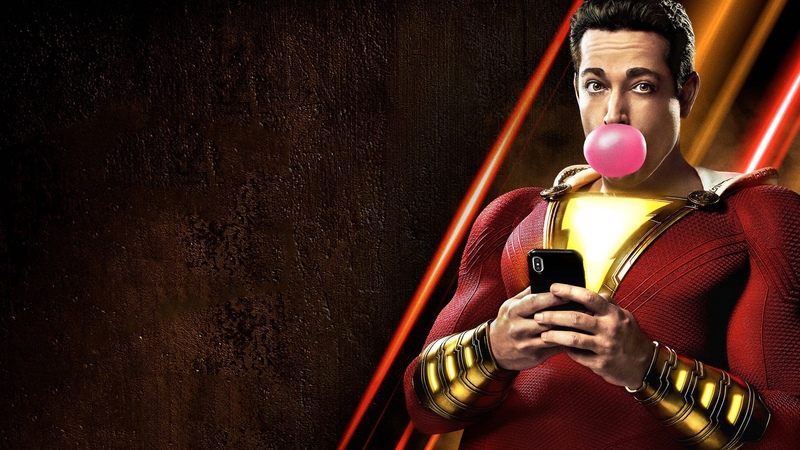 Now Billy must stop Sivanna, the Wizard transfers his power to Billy with the word ‘’Shazam!’’, transforming him into an adult form (Zachery Levi). Billy, trapped in his adult form, seeks Freddy’s help to understand his new powers. Together they begin testing his powers and foil a mugging and store robbery. With Freddy recording Billy’s exploits, the ‘’Red Cyclone’’ becomes an internet sensation, but Billy quickly becomes self-absorbed in his newfound power and celebrity status and neglects any actual hero work. Sivanna easily finds him and attacks showing him to be equal to Billy. Now Billy must rise to the challenge and be a real hero. is perhaps the best entry of the DC movie series, it’s light tone and humour fully embraces the feeling of being super, and it appeals to that inner child in all of us. It’s also a family movie that defines what a family is and who is family. Great fun through and through, nuff said. 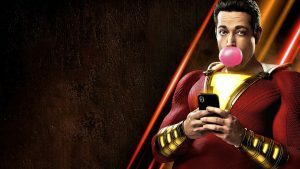 This entry was posted in Blog and tagged movie review, shazam on April 8, 2019 by SETV.